Meanwhile, sports broadcaster Bill O’Herlihy has been cleared by the Tribunal of any improper conduct. A PROPERTY COMPANY carried out an “abuse of the democratic system” by paying substantial amounts of money to Dublin councillors in return for their support, the Mahon Tribunal has found. In its final report, the Tribunal found that Monarch Group spent tens of thousands of euro between 1991 and 1996 to secure support for the rezoning of lands at Cherrywood in south Dublin, where it planned a major development. Large numbers of councillors received payments, some of whom are yet to be identified. The Tribunal found that “most, if not all” of these knew by 1992 that Monarch was funding the payments through a third party and that it “would require and was seeking their voting support at County Council meetings” for the rezoning. However, it said that it was impossible to determine exactly how the payments affected councillors’ votes. Five councillors are specifically named as having received corrupt payments. These are Fianna Fáil councillors Tony Fox, Colm McGrath, Don Lydon and GV Wright; and Fine Gael’s Tom Hand. Tony Fox and Colm McGrath received corrupt payments from lobbyist Frank Dunlop, the Tribunal found. Dunlop was paid €85,000 by Monarch between 1993 and 1995 as a way of “rewarding him for his efforts in promoting the Cherrywood project” as well as giving him additional funds “for disbursement to councillors”. However, sports broadcaster Bill O’Herlihy, who carried out some services for Monarch and appeared at the tribunal, was found to have given evidence “in good faith”. The Tribunal was also satisfied that at all relevant times Mr O’Herlihy carried out his functions for Monarch in an entirely proper and professional manner. 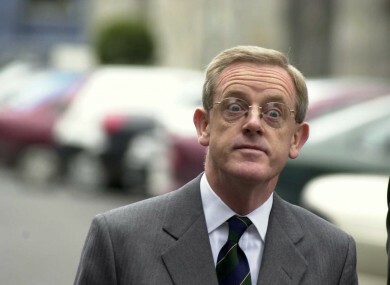 Ceann Comhairle Seán Barrett was also cleared of allegations that had been made against him. The Tribunal found that he opposed the Monarch development and had not lobbied his Fine Gael party colleagues to accept it. Email “Corrupt payments to councillors were 'abuse of democratic system' - Mahon”. Feedback on “Corrupt payments to councillors were 'abuse of democratic system' - Mahon”.